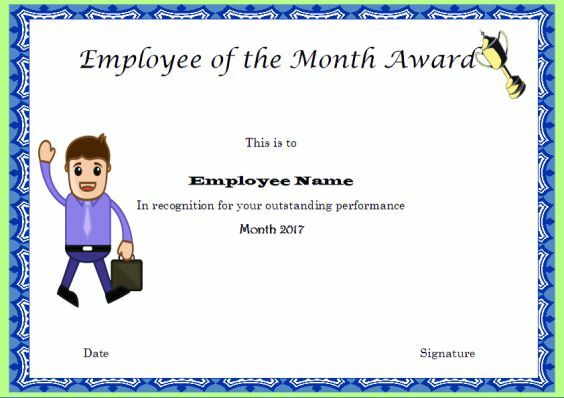 The employee of the month certificates: Certificate issued for the employee of the month is made up of different patterns. 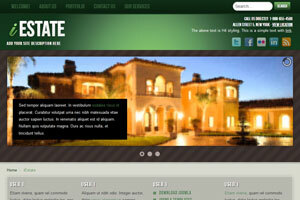 Elegant font, ornate or blue chain border are the few standard formats. 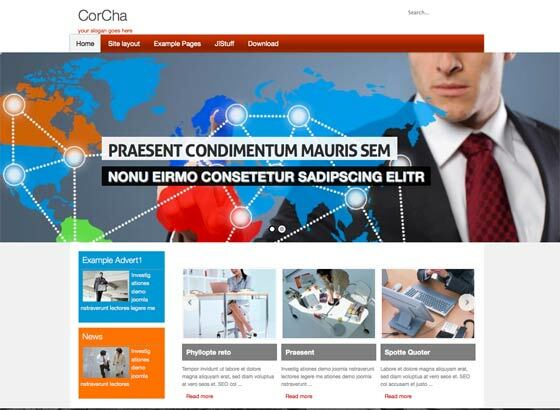 In general, the template is ready to use document. 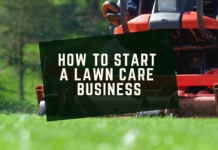 Details like the name of the employee, company name, accomplishment details, month, and year will be filled. Tailor your own award certificates. 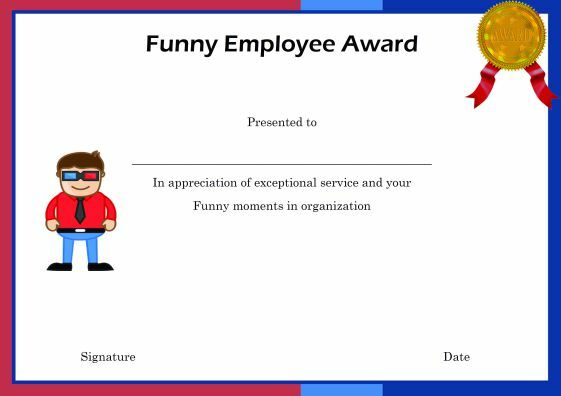 Instead of a usually designed certificate, adding fun elements in the regular employee of the month certificate is okay to poke fun, provided fun does not hurt anyone’s feelings. 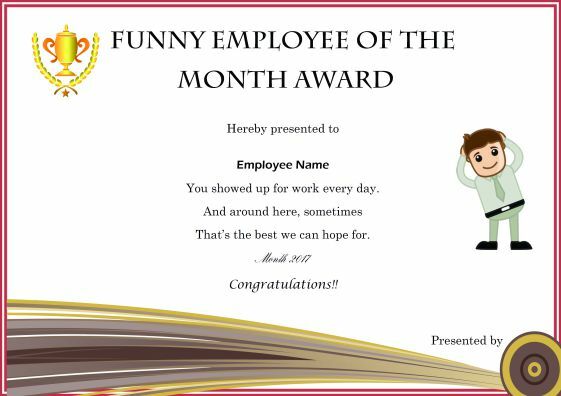 The person who is identified as the employee of the month may also have additional qualities which can be highlighted that adds some fun and life to the award. The certificate looks lovely with its blue border and a green-yellow badge to its top-left corner. The choice of large font size for the header, minimal text and clean illustrations make this an endearing one. With polka dots, the certificate looks great and also features a nice border as well as an illustration of a professional holding a golden cup in one of his hand. 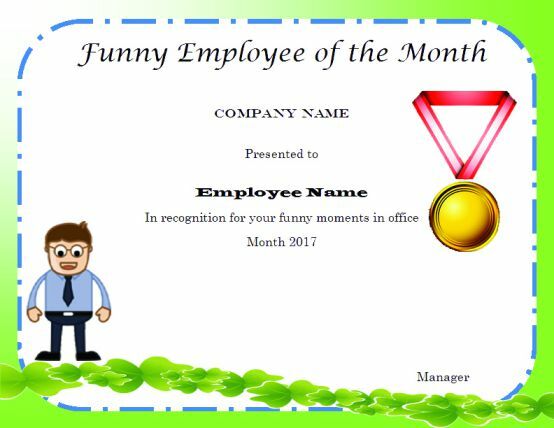 The certificate appears a little funny one for an employee of the month award certificate with its cute choice of image and bright border. However, if there is humor in the workplace, this one is apt. 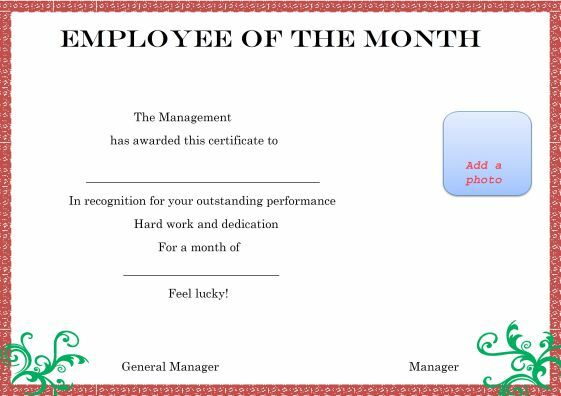 The certificate can prove to be an ideal one if you love sophistication and desire to include a photograph of your best employee of the month within the certificate to make him feel even more special. The certificate boasts of a light background featuring its text aligned to its center and images of a professional and a golden cup creating a right contrast. 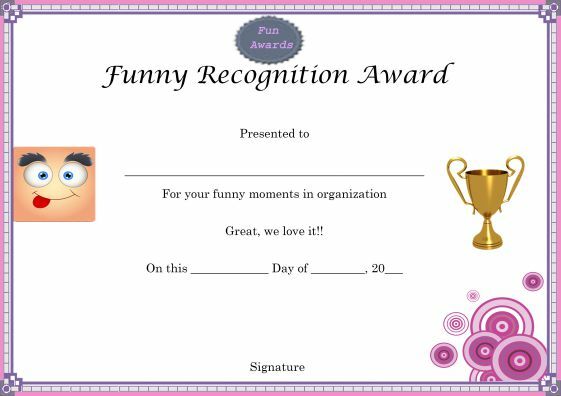 The certificate boasts of a wonderful border that consists of multiple images of professionals around a light yellow text box that also features some elaborate graphics in bright orange and pink to its right-bottom corner. The certificate looks like an image with a wooden frame with its believable border in brown and ample use of white space within the text box. Companies always want sincere, dedicated and productive employees. Even though everyone has all the qualities mentioned, it is required to be measured and rewarded to keep them motivated. The human brain is tuned to be motivated not only by monitory benefits but also by word of appreciation and recognition. 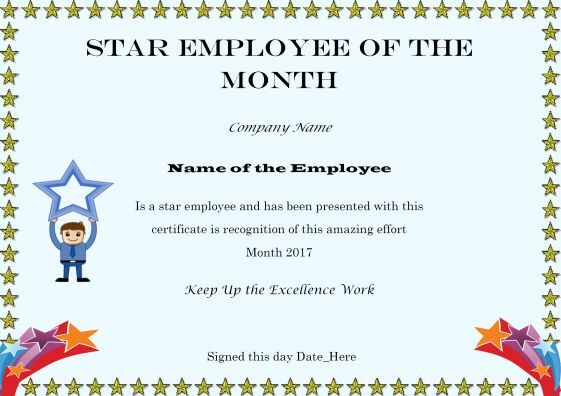 A famous type of reward program evolved from the US-based companies becoming more popular across all companies is the ‘Employee of the Month’ program. It engrosses identifying employees for accomplishing excellence in their field. Conventionally, the award is given out once in a month. The performance of every individual change periodically based on their project, capability, and many other personal influencing factors. Hence this reward program is measured by various criteria during every month. Salary revision happens once in a year such reward programs are really required to motivate employees. The certificate has some nice graphics in ocean green color on a white text box that also features a beautiful ornamental golden cup and an image of a professional. 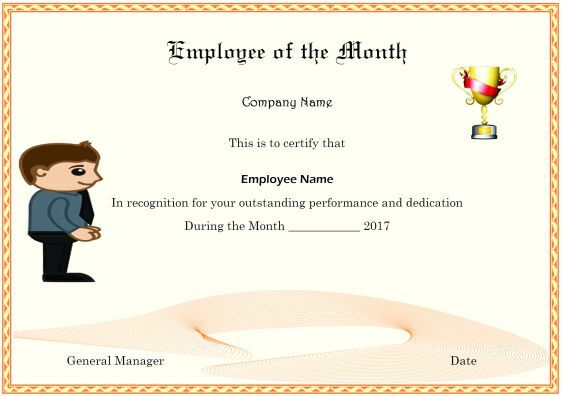 The employee of the month certificate has multiple colors like magenta at the bottom, orange at one top-right corner and blue in the image of the professional featuring to its left side. Time Keeping Award: For the consistent on-time employee. Social Butterfly Award: Employee who always tweets in office. Busy Bee Award: Employee who keeps moving from the seat. 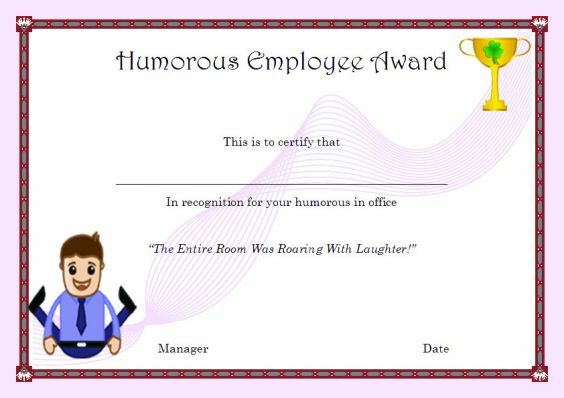 Clever Guy or Gal Award: For the ironic employee who is always making fun of others. Sea Ness Award: For the employee who prefers to hide in the office and work in a calm place other than the workstation. The Peyton Manning Award: For that team leader who constantly impresses. Pig Pen Award: For the keeping the desk at the office a mess. The Tidy Boss Award: For the keeping the desk clean and clear always. Scriptoclepto Award: The employee who always looks others pen. Rookie Award: The Newbie who rocks on the job. Sometimes simply writing one of the following statements can add fun to the certificate. The certificate has a wonderful border in a combination of mainly two distinct colors i.e. blue and magenta. 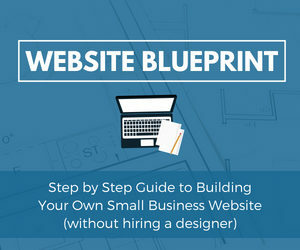 However, the most attractive element of the design is an image of a professional wearing colored sunglasses to the left side of the feature text in contrasting black. The certificate is editable and has got some interesting graphics to its bottom in shades of yellow and brown. The double red border and the cute image sets the certificate apart from other ones in our collection. Some employees are funnier than others and if you want to recognize their funny antics at your workplace, the above certificate with its design in green and white seems apt. The certificate has a baby pink border and a humorous image to its left side while there is a golden trophy to its right side on a pristine white background. The certificate is a wonderful one with a light pink border and a red border around a white text box that also features some graphics in pink and a couple of bright images. Criteria for the Employee of the Month award are expressed clearly. The selection process is transparent. Personal standards that the Employee of the Month awardees must possess are summarized. Uniform working conditions were created. “Employee of the Month” award is consistent at least for 1 year. 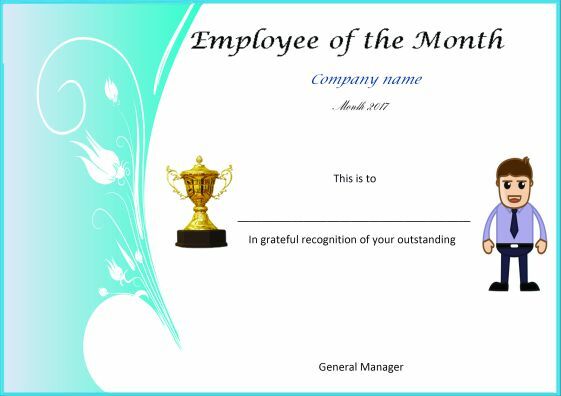 The award details are informed in the beginning of the month to employees. 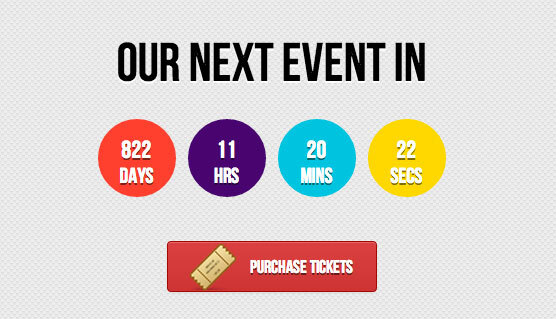 Eligibility to participate in the competition is checked. “Employee of the Month” details displayed on the board with a photo. 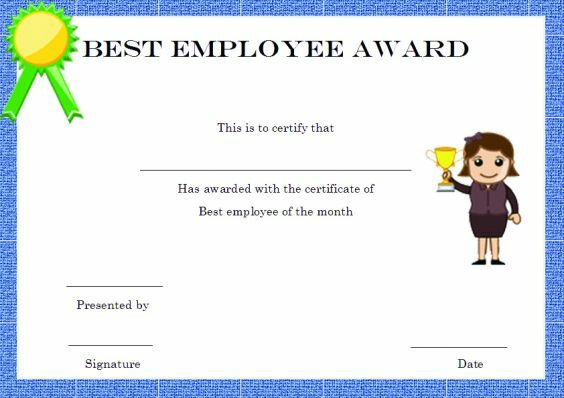 If more than one person was qualified for Employee of the Month award, then recognition was given to all in an unbiased manner. In case only one was rewarded, then the reasons were announced and agreed upon by the stakeholders. An Employee of the Month award was not given as no one qualified. The certificate features rows and columns of yellow stars in its border and shooting stars to its left-bottom as well as right-bottom corner on a light blue background. An employee of the month can be nominated either by the reporting manager or collectively by the team. 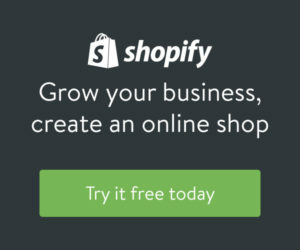 Considering customer inputs also may be required based on the nature of work. 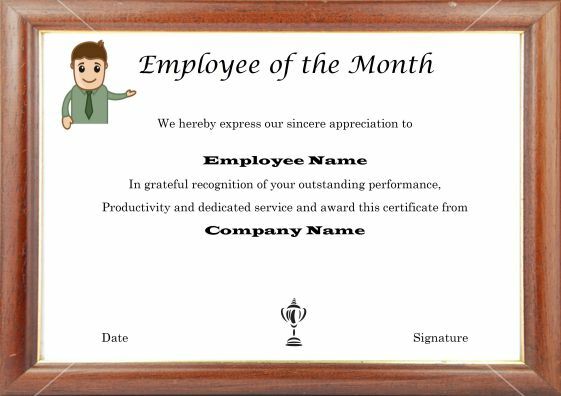 Following primary attributes must be considered as a deciding factor to reward employee of the month to an individual. Rate the performance of the job based on the following parameters. Always aiming to stand on the toes to achieve the objective of the project. Follows the company policy. Being formally dressed wherever required. Based on the criteria one can identify the employee of the month. It is now required to frame a letter to the employee of the month. Let us look at the ways to frame this letter. The letter must be on the company letterhead. Alternatively, mention the company name in the first few lines of the letter. It must address the concerned employee selected as the best employee of the month. Preferably start with the Congratulations for your good work, In recognizing your performance etc. 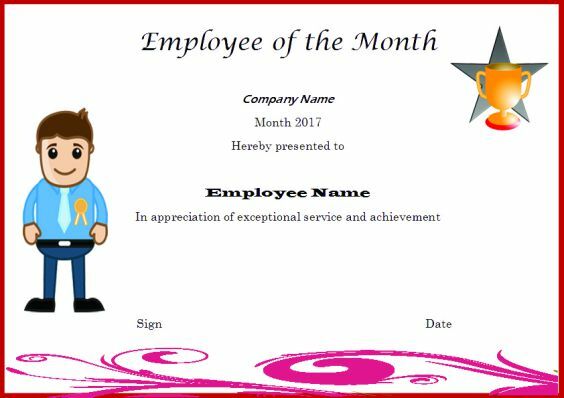 In detail reveal the reasons for identifying him/her as the employee of the month. State the type of awards like a cash award, certificate, memento, gift voucher or others. End with wishing him/her good luck. Don’t forget to bring up that the company values the service of that individual and look forward to a continued contribution. Duly sign the letter by the concerned authority. 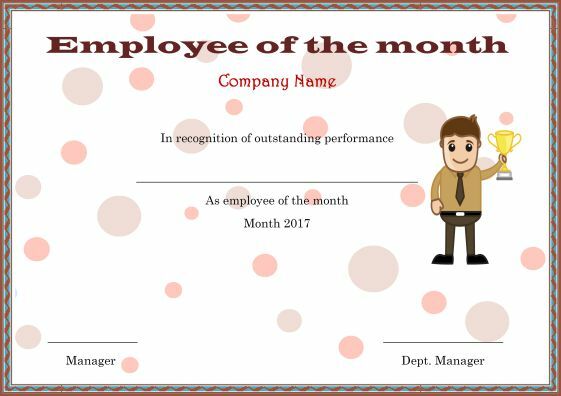 Displaying the details of the Employee of the Month in the display board is the best way to recognize the employee. Display boards could range from a bulletin board in the reception area or electronic display boards across office locations. While appreciation gives happiness making it visible to larger crowd adds pride to an individual. Display boards work the best as they keep the employee in high spirit. Hall of fame also triggers other employees in the right frame of mind to work towards the employee of the month recognition award. Providing gift vouchers, certificates or any kind of monitory benefits makes an employee happy. Still, marking them in the limelight ignites the inner strength and fires the positive competitive spirit within all. How do you dominate employee of the year? Being an employee of the month is possible as it is evaluated based on one-month performance. Pretending to be the best is easy but being the best needs hard work every time. Listing the ways in which you can dominate the employee of the year award. Consistent performance is the key to success. Stay ambitious and express the same in the right way. Be loyal to the company. Step into the companies shoes. 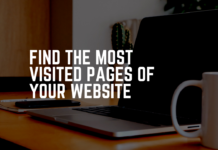 Connect with that superhero who won the title in the past to understand the roadblocks in reaching the destination. Accept criticism from your superiors, peers, and Show your growth to them with a smile. Be humble always. One rude behavior can spoil the whole show. Never go to your superiors with the problem. Suggest them a solution to a problem. Be firm in your decisions. Constantly polish your skills. 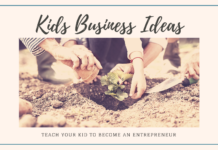 Make sure to generate revenue to the company. Money rules business environment. It is essential to be alert in your speech and action. The qualities mentioned below always goes with the person with right attitude. These are not the must have qualities but good to develop such qualities. These qualities not only fetch the Employee of the Month award but also shape up your career. How to write a nomination letter for employee of the month? The reporting manager usually writes the Employee of the Month nomination letter. The concerned authority writes the nomination letter about his/her reportee who deserves that award for the good performance during that month. This letter would give confidence to the nominee. Highlight the reasons for nominating that specific individual/s for the award. Attach /enclose the rating sheet based on which the nominee/s was/were selected. 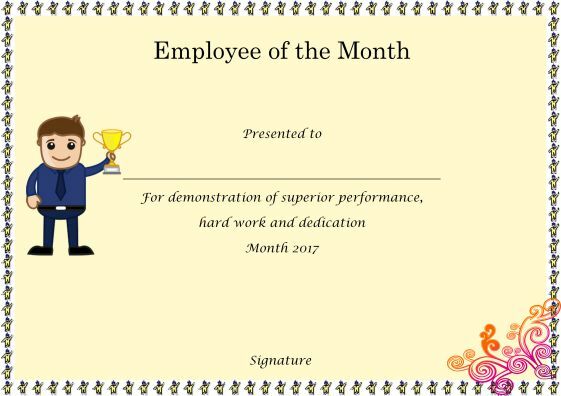 Thus, identification in the form of ‘employee of the month award’ is a ‘treat like a child” gesture and a form of approval for the hard work. If continuous excellence is required from employees, ‘pat on the back’ is of utmost significance. We sincerely hope that our collection will make things easier for you in recognizing your hardworking employees and others at your workplace.